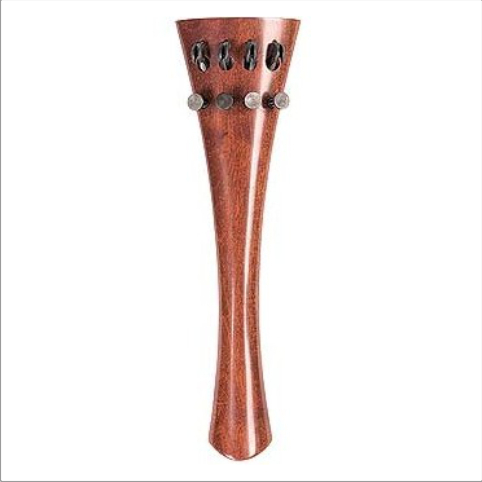 The Bois d'Harmonie pernambuco tailpiece has efficient carbon finetuners. Is elegant and lighter than the usual plastic models. There is a perceptible sound improvement. French model, 235 mm long.